Welcome to John’s Family Restaurant! We have been serving up delicious, home cooked meals for over 25 years here in Charlotte. From seafood and steak to southern home style dishes and more, we have all your taste buds covered! All of our menu selections are made from the freshest ingredients. Even our daily selections of vegetables are always fresh, never canned, and that makes all the difference. Have a sweet tooth? Try our homemade desserts! Beer and wine are also available. We are family owned and operated and focus on bringing you, our customer, the best food served in a family atmosphere. 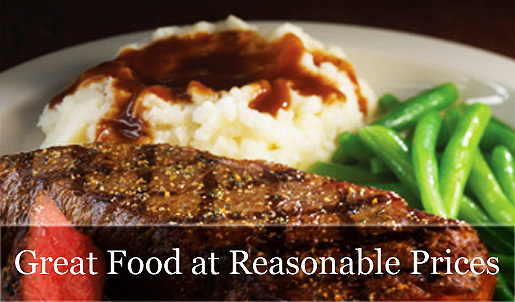 We invite you to come by and see what makes John’s Family Restaurant the place in Charlotte for family dining! All items are available for Take Out! Phone or Fax in your order! Hours of Operation: 11:00am 'till 9:00pm Monday thru Saturday COME SEE US!